I love the color green and all the variations of it we find in the great outdoors. Mother Nature sure knew what she was doing when she created the green color palette! l also love the evolving awareness and consciousness that the green movement offers. “Going green” has facilitated a monumental shift in transforming the unhealthy relationship we’ve had with our environment. And I love what eating greens can do for our own health and well being. Remember the Popeye cartoons? A skinny sailor boasted impressive biceps and acquired superhuman strength thanks to his daily dose of canned spinach. Seems like everything green is popular now, and the category we call green food can be a magic elixir for many health woes. 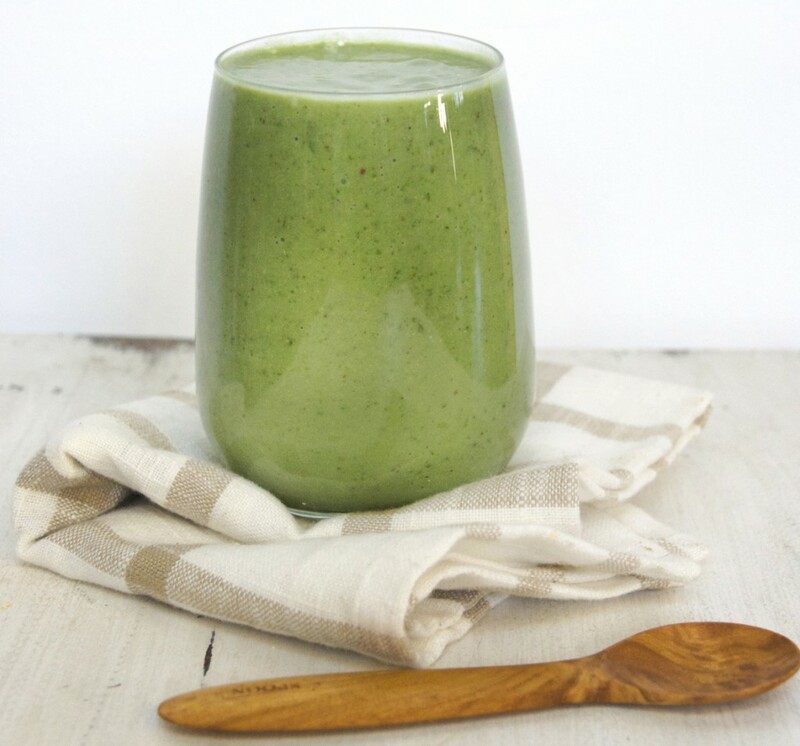 Greens help overcome cravings, assist in reaching one’s ideal weight, increase energy levels, prevent and heal dental issues and overcome deficiencies of all kinds. Leafy green veggies provide essential alkalizing minerals such as calcium, magnesium, potassium and zinc. They are packed with iron, a nutrient necessary for healthy blood. They’re also a rich source of folic acid, which is very important for pregnant women. Spirulina is rich in digestible protein, has the highest concentration of Vitamin B12 of any food, has 10 times more beta-carotene than carrots and is a potent source of the essential fatty acid called Gamma-Linolenic Acid (GLA). Spirulina also helps maintain blood sugar levels. Chlorella, a fresh water algae, is comprised of 60% protein, provides strong anti-aging properties and boosts our immune system. Although information that greens are some of our best allies for health is becoming mainstream, there needs to be education on the quality of our greens. The US Department of Agriculture admits that commercial farming methods are growing crops in nutrient depleted soil, along with the widespread use of herbicides and pesticides…chemicals that are know to be linked with cancer. Although more expensive on the front end, buying organic and/or growing your own will save you later from a variety of potentially significant health issues. Even when we are diligent with our diets, do we get enough daily greens through what we eat alone? 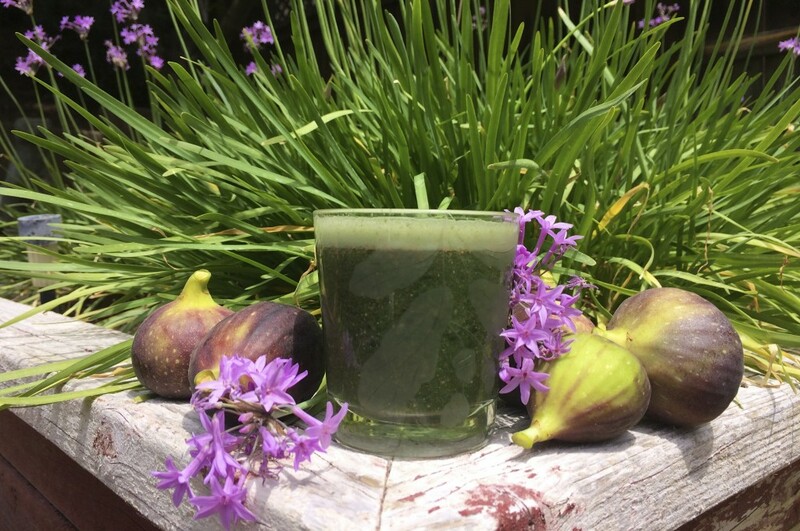 Research demonstrates that it’s wise to juice, steam and eat as many greens as possible, and adding a daily “live organic superfood” supplement such as POWER FOR LIFE to your routine will also vastly improve your health wealth and quality of life. We have altered our natural biorhythms and interrupted our bodies’ innate intelligence to such an extent that we now find ourselves in the strange position of having to actually commit to creating balance and making good choices in order to maintain our health and well being. Although billions of dollars are spent every year on quick fixes, true health wealth cannot be manifested in 30/60 days like some infomercials promise. Hydrate – that means water folks! At least 100 ounces per day! At TERRAOCEANA, we offer an organic, foundational, live superfood called POWER FOR LIFE. It’s easy to use and will have a significant and positive impact on your long-term health wealth. 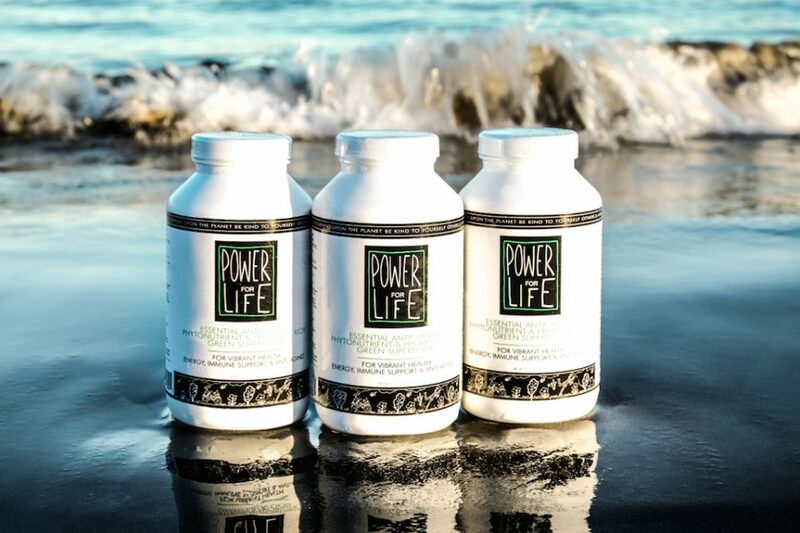 Costing a lot less than a daily latte at your favorite coffee cafe, POWER FOR LIFE supports the overall well being of your body, mind and spirit – without the caffeine! Oh…and did I mention that POWER FOR LIFE also happens to be a beautiful shade of green!? !